Why am I so (*&% itchy? This is the time of year that we see lots and lots of people coming in with itchy skin. The bottom line is that dry skin itches, and dry skin is hands-down the biggest cause of itching. So where does this dryness come from and what can you do about it? It’s rained for 27 days in a row, how can I have dry skin? Sure, everything outside is soggy. Wet grass, wet leaves, wet everything. Everything just seems soggy right now. I take my little dog out for a walk and she comes in soggy too. But, 20 minutes later, she is dry. Why? Well, the simple answer is because the relative humidity of the house is low, leading to evaporation of moisture from her fur, of course! Heating your home dries it out. In the summertime people around here often install dehumidifiers to keep humidity low to prevent mold and mildew growth, but in the winter, this is seldom a problem because home heating usually dries the air out quite a bit. When I lived in MN where it is MUCH colder, the problem was even worse. Without a whole house humidifier the indoor humidity level hovered at around 10%, about the same as the typical desert. There was so much static electricity in the house that sometimes I swear I could see it arc through air if I touched my wife or dog. ZAP! In the Seattle area, it is unlikely that your indoor humidity will ever go that low, but in Eastern WA it almost certainly will during the wintertime. However, this drop in indoor humidity causes an epidemic of winter time itching. Besides creating huge amounts of dog-zapping static electricity, relative humidity affects the rate of water evaporation. This is related to the concept of the dew point, which is the temperature at which water from the air condenses at the same rate that it evaporates. Nothing will dry at the dew point because you can’t get water to evaporate. As you cool air and go below the dew point; the air becomes maximally saturated with water; water condenses forming clouds, fog and dew; and at that temperature the relative humidity is 100%. If you take that same air and heat it up, that air could now handle a lot more water and the relative humidity plummets. In MN, when its below freezing outside, there is almost no moisture at all in air (relative humidity close to 0)-not only has it condensed into water, it has FROZEN on the sidewalk, your windshield, your eyeballs, etc. Here, when its 40 degrees outside and its been raining, the outside air is nearly maximally saturated with water and the relative humidity is nearly 100%, but the actual amount of water in that air is VERY low. When you take that air and heat it up, that air can now hold an awful lot more moisture and the relative humidity is much lower. Now, taking this to your skin: If the relative humidity outside is 100% and the outside air temperature is above human body temperature, water will in fact condense onto your skin. In a bonafide tropical climate, its not just sweat that makes you soggy, if its 100 degrees with 100% humidity, water can also condense on your skin (similar idea to water condensing on a cold window in winter, the temperature of the window is below the dew point). On the other hand, if the relative humidity is low, water will evaporate from your skin. If your skin is warmer than that surrounding air, it happens even faster. To combat the dryness caused by home heating you need to adjust the relative humidity. People are usually the most comfortable with an indoor temperature of 65-70 degrees and a relative humidity between 30 and 50%. However, your skin (and your sinuses) will be happier at about 40-45%. If you think your house is dry, you should buy or borrow a humidity gauge, measure it over time, and consider adding a humidifier. Whole house humidifiers tied into a forced hair heating system are ideal. Smaller, portable humidifiers can help, but not the little toy ones you can buy at Walgreen’s. Expect no meaningful change in relative humidity from those. If you want to make a difference, you need a proper humidifier. I recommend ones like the MoistAir800. This type of humidifier has two key features. First, it has a digital humidity gauge so you can set it to the desired humidity level. Second, it is capable of putting out 8 gallons per day giving it the power to actually get to that relative humidity. One of the functions of our skin is to keep us from drying up like a raisin. One of its main tools for keeping moisture in is a protective layer of oil. Without these oils our skin loses water much more easily, will rapidly dry out, and then become really itchy. Soap, by definition, is a surfactant, meaning that it is a substance that helps things like oil, which are normally insoluble (unable to dissolve) in an aqueous environment like water, become soluble (dissolvable). For a demonstration of this, drop some bacon grease in a sink full of water and add some dish soap. The fat (depending on just how much bacon blubber you dropped into the sink) disappears! It’s been incorporated into micelles by the soap and is now solubilized in the water and will run down the drain with your water. Soap, no matter what kind it is, does this to your skin. Protective layer of oil? Gone! Down the drain. Harsh soaps are really good at this, but any and all soaps all do the same thing. Even soaps that are supposed to be super gentle will do this, just not quite as well. The best thing you can do is to only use soap for areas that are actually dirty. Unless you actually have dirt on your skin, our skin pretty much cleans itself with a little water running over it. Using a bunch of soap on clean skin really just removes the skin’s protective barrier. Also note: over time (nice way of saying as we get old), our skin makes less and less of these protective oils. With each birthday your skin becomes more susceptible to dryness. What usually happens as that as we get old is that people first find that they get a little bit itchy in the wintertime. And every winter it gets a little bit worse. And then a few years later, it’s not just during the winter and they itch year round. Most people also find that hot showers, especially in the winter, feel good and take the itching away. For like 5 minutes. Then they itch more than they did before. The reasons are because the higher water temperature more effectively strips oil away and it also opens up the pores in the skin so that they lose more water. After a shower that leaves you pink to red, it takes your body about 24 hours to replace the moisture that you just stripped away. You know what I’m talking about, so quit smirking. That picture you have in your mind right now is actually showing a person using a towel to abrade the top layer of their skin. This removes any traces of oil that they didn’t already flush down the drain with their Irish Spring and further opens up the skin after the scalding hot shower left their pores wide open. Get some softer towels and dry off more gently. Turn down the water temperature in the shower. While the hot shower will relieve your itch while you are under the shower, you will pay for it for at least a day, because it will take your skin that long to replace the moisture that you’ve lost. Ditch the soap. If your skin is not dirty, you don’t actually need soap. If you have dry, itchy skin, I challenge you to use soap just in your armpits and groin for the next week and tell me if you aren’t less itchy. Ideally, the soap you use should also be unscented, because fragrance is usually irritating. If you want to use something all over, my favorite option is Eucerin Calming Wash, which is unscented and has omega oils in it to help to moisturize your skin while using it. Check the humidity in your home and make sure it is around 45%. If it is not, get a REAL humidifier and fix it. Most of the time, following the simple advice above is going to keep you from getting dry and itchy for a long time, but eventually, the slowdown in oil production in our skin catches up and you will be itchy despite this. At this point, even with your gentle skin care regimen, your skin just isn’t producing enough oil to prevent the natural water loss that occurs from evaporation. What you need to do is to support your skin. It can’t produce enough oil to protect itself, so you need to give it some. Vaseline, and I specifically mean petroleum jelly, is the moisturizer that all others are compared to. There are very few moisturizers that are actually more effective and none that are cheaper. If you like expensive vaseline, you can also use Aquaphor. Some people say it feels better, but it doesn’t work any better. If you want an organic alternative to petroleum jelly (which does come from decayed organic matter that eventually became oil due to a variety of forces under the earth’s surface), you can also use a variety of oils such as coconut oil, jojoba oil, or shea butter. Of these, my favorite is coconut oil, which shares with Vaseline the characteristic of having a melting temperature slightly above body temperature, which means that it is semi-solid at room temperature but melts on the skin. If you want a cream, then I have two good recommendations for you. The first is Cerave. You can buy this anywhere in big tubs. What is nice about it is that it has ceramides in it that mimic some of the oils in our skin, making it a better moisturizer than most others that are out there. The second cream that I can recommend is Vanicream, which was developed by pharmacists working at their local hospital to create the ideal product for people with sensitive skin. That local hospital happened to be Mayo Clinic. There simply is no other cream ever made that causes less trouble than Vanicream. For the record, I get no royalties of any kind from Vanicream. I have no stock in Vanicream (the company is owned by the original two pharmacists and a couple of other folks who joined later). The stuff sells for $10-$20 and isn’t stocked by many pharmacies because Vanicream can’t pay them for shelf space like Proctor and Gamble does. Use as little soap as possible, preferably just in the armpits and genital areas. Turn down the shower temperature. So what if I do all this stuff and I’m STILL itchy? If you manage to follow all this advice and you still can’t stop scratching, make an appointment. 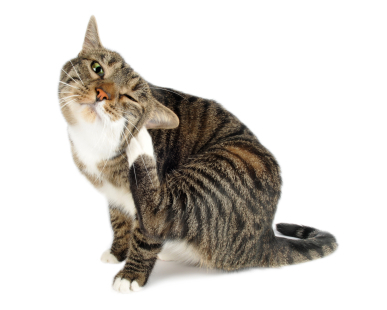 Although dry skin is the prime suspect whenever someone is itchy, it’s not the only one. Other conditions like contact allergies, inflammatory conditions like psoriasis and dermatitis, and other internal or external causes can also be to blame.